Translation Services USA offers professional Irish translation services for English to Irish and Irish to English language pairs. We can also translate Irish into over 100 other languages. In fact, Translation Services USA is the only agency in the market which can fully translate Irish to literally any language in the world! Our Irish translation team consists of many expert and experienced translators. Each translator specializes in a different field such as legal, financial, medical, and more. Whether your Irish translation need is large or small, Translation Services USA is always there to assist you with your translation needs. Our translation team has many experienced document translators who specialize in translating different types of documents including birth and death certificates, marriage certificates, divorce decrees, diplomas, transcripts, and any other Irish document you may need translated. We have excellent Irish software engineers and quality assurance editors who can localize any software product or website. We can professionally translate any Irish website, no matter if it is a static HTML website or an advanced Java/PHP/Perl driven website. In the age of globalization, you should definitely consider localizing your website into the Irish language! It is a highly cost-effective investment and an easy way to expand your business! We also offer services for Irish interpretation, voice-overs, transcriptions, and multilingual search engine optimization. No matter what your Irish translation needs are, Translation Services USA can provide for them. Irish is a Celtic language and, as such, is a member of the Indo-European family of languages. Within the Celtic group, it belongs to the Goidelic branch of insular Celtic. Irish has evolved from a form of Celtic which was introduced into Ireland at some period during the great Celtic migrations of antiquity between the end of the second millennium and the fourth century BC. 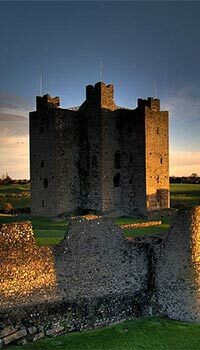 Old Irish, Ireland's vernacular when the historical period begins in the sixth century of our era, is the earliest variant of the Celtic languages, and indeed the earliest of European vernaculars north of the Alps, in which extensive writings are extant. The Norse settlements (AD 800 onwards) and the Anglo-Norman colonisation (AD 1169 onwards) introduced periods of new language diversity into Ireland, but Irish remained dominant and other speech communities were gradually assimilated. In the early sixteenth century, almost all of the population was Irish-speaking. The main towns, however, prescribed English for the formal conduct of administrative and legal business. The events of the later sixteenth century and of the seventeenth century for the first time undermined the status of Irish as a major language. The Tudor and Stuart conquests and plantations (1534-1610), the Cromwellian settlement (1654), and the Williamite war (1689-91) followed by the enactment of the Penal Laws (1695), had the cumulative effect of eliminating the Irish-speaking ruling classes and of destroying their Irish cultural institutions. They were replaced by a new ruling class, or Ascendancy, whose language was English, not Irish, and thereafter English was the sole language of government and public institutions. Irish continued as the language of the greater part of the rural population and, for a time, of the servant classes in towns. From the middle of the eighteenth century, as the Penal Laws were relaxed and a greater social and economic Irish mobility became possible for the native Irish, the more prosperous of the Irish-speaking community began to conform to the prevailing middle-class ethos by adopting English. Irish thus began to be associated with poverty and economic deprivation. This tendency increased after the Act of Union in 1800. Paradoxically, towards the end of the eighteenth century the Anglo-Irish Ascendancy had begun to develop an academic interest in the Irish language and its literature. Academic interest later merged with a concern for the survival of spoken Irish as its decline became increasingly evident. Language-related activity grew throughout the nineteenth century and, following the establishment in 1893 of the Gaelic League, or in Irish Conradh na Gaeilge, the objective of maintaining and extending the use of Irish as a vernacular fused with the renewed separatist movement which culminated in the establishment of the Irish Free State in 1922. We will help you translate Irish language! Our Irish professional translators work in all areas of specialization in Irish language.